Brodis Clay Killed in Atlanta Gas Station Shooting; Fatal Security Lapse? Could this Atlanta gas station shooting have been prevented, and are justice and compensation available to Mr. Clay’s family? 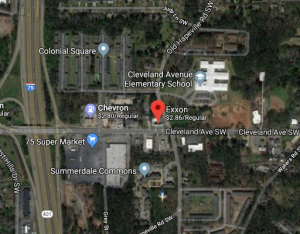 Gunfire erupted “at [a]…Gas Station on Cleveland Avenue Saturday afternoon,” September 15, 2018, according to 11 Alive. Responding officers discovered Mr. Clay suffering from multiple gunshot wounds. He was transported to the hospital, where he tragically succumbed to fatal injuries. Atlanta police told the AJC they are now searching for two persons of interest. Was negligent security a factor in this senseless loss of life? Read Our Legal Take below to find out if the Mr. Clay’s family may have legal avenues for justice and claims for substantial compensation in Georgia. Gas station patrons have a right to feel safe and secure while on the premises. The Murray Law Firm questions the level of security provided at the property and whether this tragedy may have been prevented. What security measures, such as clear windows, monitored surveillance cameras, bright lighting, and security patrols, were in place to deter crime and protect Mr. Clay at the time of the shooting? By law, property owners in Georgia are required to protect all those legally on the premises from any foreseeable harm. Should the facts of this matter reveal that the gas station owner failed to provide adequate security, Brodis Clay’s family may seek justice and elect to pursue legal claims for their loss. We represent our Clients on a contingency agreement, which generally means that no fees or payments are owed until and unless we recover. Anyone seeking further information or legal representation is encouraged to contact us via e-mail (click here) or by telephone at CALL NOW: 404.842.1600. Consultations are free and confidential.